Since 1973, the World Food Programme (WFP) has been partnering with the United Nations Volunteers (UNV) programme to deliver vital food assistance and improve food security worldwide. Over the past ten years, 725 UN Volunteers have served with WFP in 69 countries, supporting WFP’s mission to "ease the burden of food shortages, improve nutrition, achieve food security and ultimately end global hunger". UN Volunteers are experienced personnel available to support WFP’s mandate. UN Volunteers contribute to the WFP goal of eradicating hunger and malnutrition, supporting or restoring food security, nutrition and establishing or rebuilding livelihoods in fragile settings and in the aftermath of emergencies. UN Volunteers, through their field presence and expertise, advance WFP efforts to ensure food security at the national and community level. UNV manages a Rapid Deployment Mechanism that supports WFP in situations requiring rapid mobilization of volunteers for emergency relief and humanitarian operations. This approach allows the mobilization of UN Volunteers that serve with WFP programmes and tackle a variety of global issues including: food aid, administration, logistics, project management and training of community development workers and specialists. 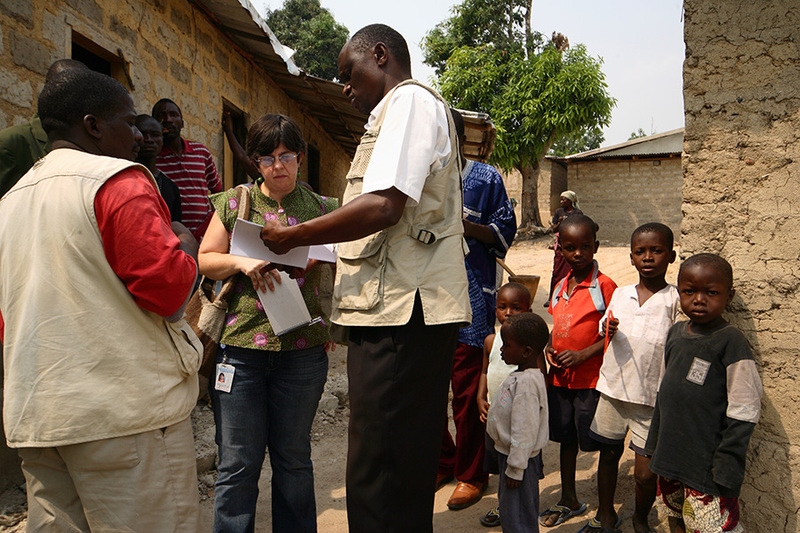 Projects initiated by this partnership include emergency response and monitoring of food distribution of items to communities affected by Ebola in Sierra Leone and earthquake victims in Nepal; delivering food and resources to civilians amidst conflict in the Central African Republic and capacity building efforts to eliminate malnutrition for rural communities in Mozambique. UN Volunteers assist WFP on several strategic objectives to achieve sustainable results and end global hunger. They are protecting access to food, improving nutrition, and achieving food security by ensuring food systems are sustainable. UN Volunteers also deliver on assignments that strengthen capacities to implement the 2030 Agenda’s goals by establishing policies in support of these goals. In the field, they are sharing knowledge, expertise and technology to extend global partnerships in the pursuit of the SDGs. The first UNV assignment within a WFP-managed project occurred in 1973 when an international UN Volunteer was recruited to serve as a Field Observer in Zabol, Iran. Today, UN Volunteers restore food security and nutrition, establish or rebuild livelihoods in fragile settings and in the aftermath of emergencies, reduce risk and enable communities to meet their food needs, facilitate research and help with food security analysis and logistics.